Wine has been on my mind. 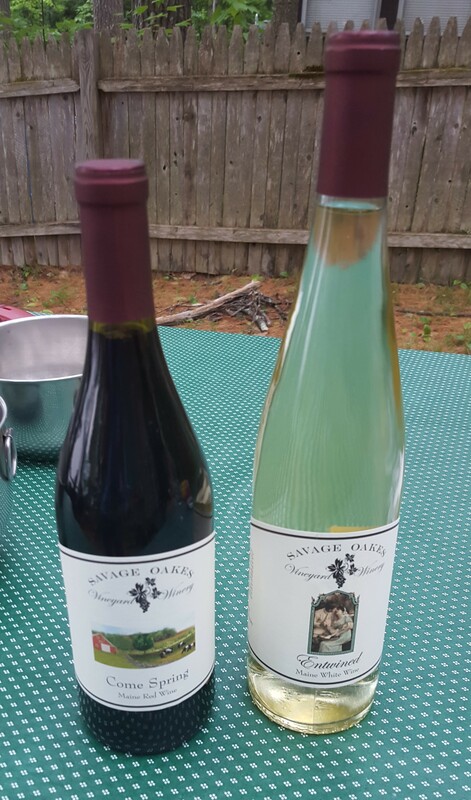 My husband and I often talk about our dream of owning a vineyard and making wine (I’m more interested in the farming, back-to-the-earth, nature-centric aspects; he’s truly passionate about the chemistry behind great wine and how to craft it), and we talk nearly as often about where to make this dream a reality. But that’s a post for another day. It is easy to be swept away in the romanticism of wine and wine making. It’s a drink that makes you dream (or daydream). Just one short week ago, I returned from my very first visit to the Napa and Sonoma Valleys – a trip that was stunning from the scenery to the wine and beyond. It was also a striking contrast to many of the charming vineyards and wineries I’ve visited in North Carolina, Virginia, and, yes, Maine. 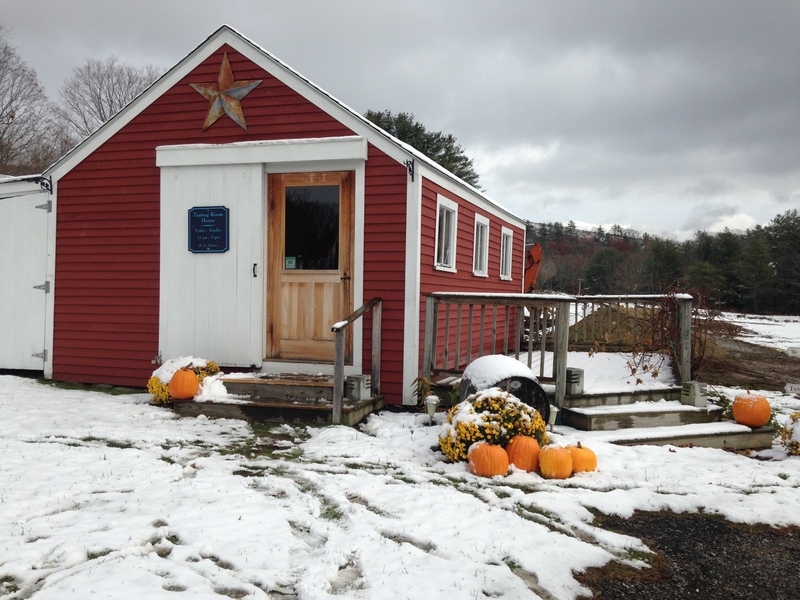 It reminded me that I owe you all posts on three Maine vineyards and wineries in particular: Savage Oakes Vineyard & Winery, Sweetgrass Winery & Distillery, and Cellardoor Winery. Consider this the first post in a series, as I share a little bit about my experience with wine on the other coast before bringing you back to the Down East and sharing my experiences enjoying the authentic, family farm setting of Savage Oakes; the more polished-yet-rustic, hip vibe of Sweetgrass; and the upscale, glamour-meets-country appeal of Cellardoor. In celebration of a dear friend’s 30th birthday, I traveled to northern California for a girls’ weekend in wine country. I was picked up from the airport by the other ladies and immediately whisked off to Napa, where we began our fun with Oxbow Public Market – a fascinating and appealing conglomeration of food vendors and shops, and where I enjoyed a positively delicious salmon ceviche. From there, we proceeded along the Silverado Trail as it winds through many of the most widely recognized names in American wine. I’ll tell you, it was a special thrill to see, in person, the places where many wines we love were grown, crafted, and aged. Wisely, we shared a number of tastings throughout the weekend, otherwise I hesitate to imagine how tipsy we may have become. 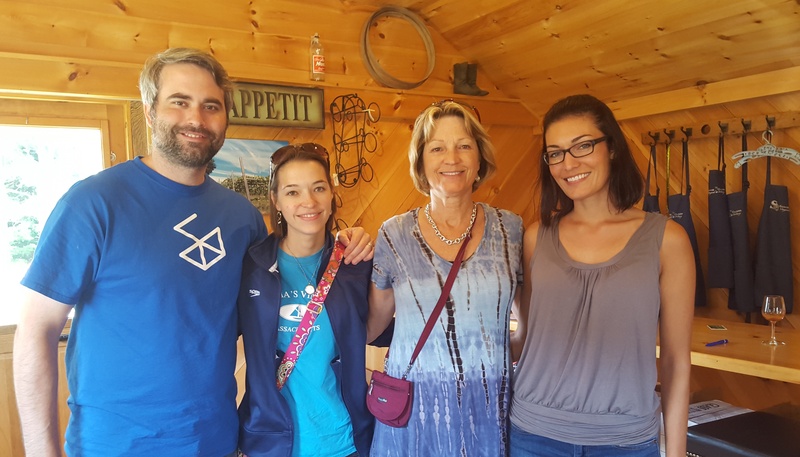 Our first stop was Miner Family Winery, where we enjoyed a truly excellent Viogner and an unusual Chardonnay fermented only with the wild yeast on the grapes (which I liked – very different) before transitioning into dryer reds. Perhaps the most memorable part of that visit, though, was the consultant who handled our tasting. A native of Sonoma whose father is a grower, his knowledge (and willingness to take our picture) made the tasting enjoyable and engaging. From there, we made our way to Charles Krug, which houses its tasting room in a stunning 1872 building, an atmosphere that contributes effectively to the tasting experience. Taking in the high ceilings, the rustic charm, the old, deep window wells, all while sipping their Family Reserve Generations – a blend of 83% Cabernet Sauvignon, 7% Malbec, 5% Merlot and 5% Petit Verdot. It is an experience in and of itself, and precisely as they describe on their website, with spice and lovely fruit flavors of blackberry and red currant. That entire afternoon was a blurred combination of exhaustion (i.e. jet lag), wine, and laughter, which all culminated in a giddy patio dinner at Francis Coppola, complete with stunning views of vineyards and mountains. 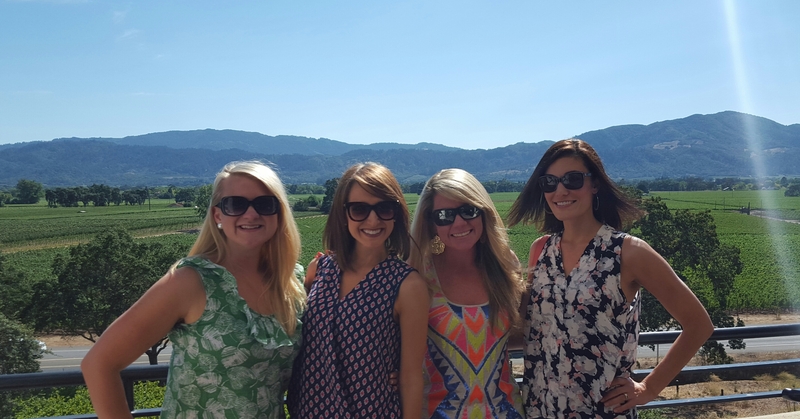 The following day, a car service took us around Sonoma Valley, where we made it to five – five! – wineries, including Ledson, Landmark, Kunde, Imagery, and Chateau St. Jean. In my opinion, Kunde stood head and shoulders above the rest for a number of reasons. 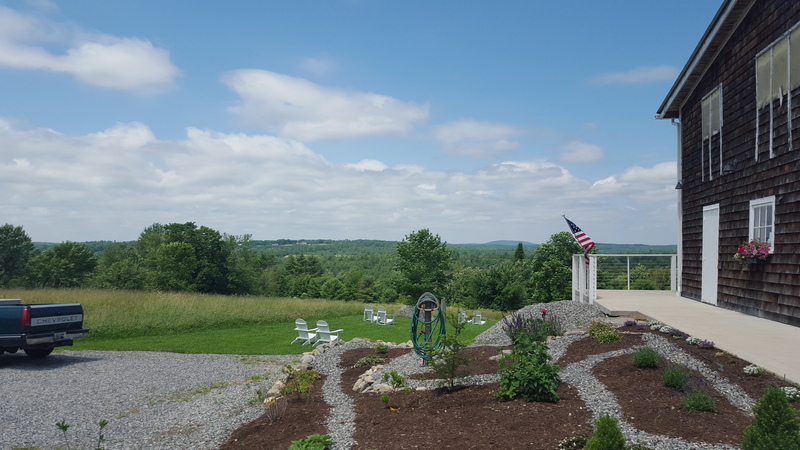 From the wine, to the cave tour (where they age their wines – and have an event space! ), to the consultant who handled our tasting, the entire experience was exceptional. I also knew Nick would like the fact that they grow all of their own grapes, which seemed rare, at least among the wineries we visited. What surprised me was how much I appreciated that fact, too. Sitting in our home in Georgia, I didn’t feel particularly concerned with whether the wine I was consuming was made from grapes grown by the winemaker, but when I was there – among the vines – it became much more significant. So I ordered four bottles (naturally). It was a truly incredible weekend. By the time I journeyed home on Sunday, I felt I’d seen (and consumed) more than I imagined possible in two days. Napa was glorious, and Sonoma quieter, but no less impressive. I’m looking forward to thinking about how very, very different these experiences were from Maine wineries and sharing my perspective with you. Differences aside, this was a trip not to be missed! Categories: Eat, HoME Grown, Play, Shop | Tags: Cellardoor Winery, Maine, Maine wine, Napa, Savage Oakes Vineyard and Winery, Sonoma, Sweetgrass Winery & Distillery | Permalink.